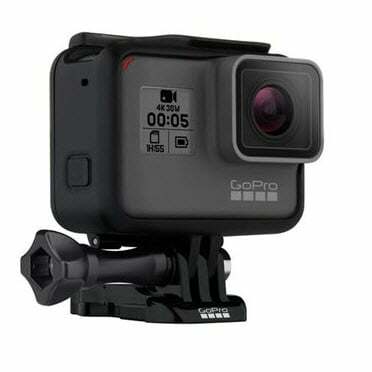 The burst mode in GoPro cameras can be used for shooting a number of images in a go. This would allow you to select the image which has been most perfectly captured. Burst Mode is nothing but a sequence of still photos which have been captured just like a video footage.The Hero5 Black cameras are capable of recording videos up to 240 fps which means it can take about 240 images per second. In this article we are going to discuss everything you need to know about the GoPro Burst Mode. Regular full frame metering: Metering or light metering needs to be selected so as to adjust the level of brightness of the image. Your GoPro cam would automatically adjust the brightness level according to the subject in the frame. Spot Metering: This option supersedes the regular metering style. Here the whole picture is metered on the basis of a hypothetical spot in the middle of the picture. This can come in handy while capturing a specific object like people in crowd or an animal from a distance. The 'mode' button has to be clicked once more to turn on/off the ProTune You don't have to bother about ProTune unless you are considering creating a video out of the images. If you just want to view your clips then there is no reason to turn on ProTune. ProTune is known to affect some of the factors linked with the captured images such as colour, FOV, sharpness etc. It allows the professional editors to play with a number of editing options for adjusting the footage. The Burst Mode in your GoPro is all ready to use! Now that you have learned everything about using the Burst Mode on your GoPro, you just need to select the 'exit' button or click on the 'setting tag' button (which is just to the left of the 'mode' button) for saving the present settings and then exit. The GoPro Burst Mode is now all set up in your camera. All you need to do is select your resolution, speed and the metering before you hit the shutter. Now that you know everything about the Burst Mode on your action camera all you have to do is hit the road and keep shooting. I want to disable burst mode entirely how do I do that? When I use Shutter button or voice command "GoPro start recording" a lot of times it ends up in Burst mode which creates tons of photos I don't want. What I want are video mode and photo mode only.